In order to reinforce the charging infrastructure for EVs, Audi has officially rolled out its e-tron Charging Service in ten European markets. Form being a premier automotive manufacturer, Audi has gone on to become an electric mobility pioneer with the launch of its e-tron Charging Service. The Audi e-tron Charging Service is part of a broad-based offering for charging and enables access to the public charging infrastructure in 16 European countries. Audi plans on rolling out the service in eight additional markets in Eastern Europe over the course of the year. With this service at the disposal of Audi customers, those driving abroad can charge their cars based on locally-applicable tariffs, without paying any extra costs. 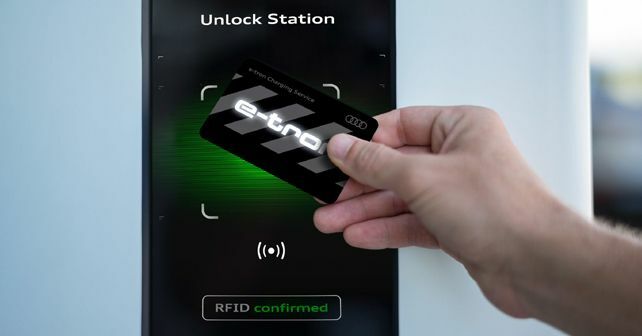 While individual customers can opt from two tariff plans (City or Transit), Audi customers can gain access to nearly 80 per cent of all public charging stations in Europe with the help of just one charging card. Audi’s charging card brings together more than 72,000 charging points operated by 220 providers. What makes this EV charging ecosystem beneficial for users is that standardised, country-specific charging tariffs protect users from being subjected to any additional roaming costs, thereby eliminating the need for constant price comparison. Thus, a customer travelling in a foreign country can charge his/her car at exactly the same price as a local user of the e-tron Charging Service. To use the e-tron Charging Service, customers need to register once on the myAudi portal and conclude an individual charging contract. The same portal can then be accessed to see all billing-related information and for contract renewal as well. Further, the myAudi app or Audi's navigation system can also be used to locate the nearest charging station with real-time updates on the charging station's availability. To promote the uptake of its first-ever EV, the e-tron, Audi will also offer complimentary subscriptions of this service to initial customers.